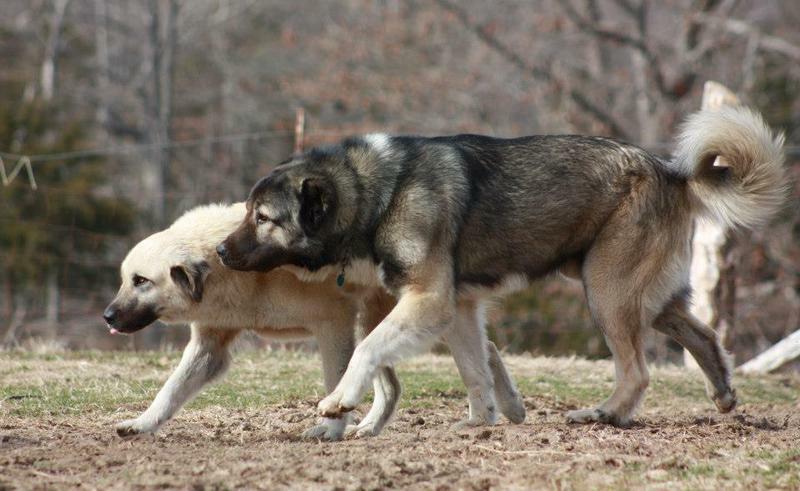 Pictures of our LGD's at work, and yes, sometimes at play. at the start of this page is a pictorial of our (then) 5m old Armenian Gampr pups being introduced to sheep, prior to this, all contact was through fence or leash. they are still a bit rowdy. 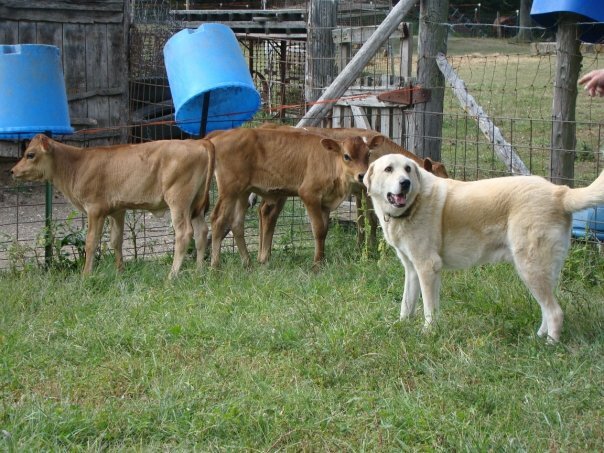 you never just throw these dogs in with the stock, without introduction & supervision. yes, the instinct's there, but just as in any other breed of dog, it must be refined. you'd never just open the gate and turn a herding dog out, and expect it to know what you want, without guidance, same goes for hunting, retrieving. LGD's are no different. yes, instinct is there, it's up to us, to bring out the best in them. in a lot of the countries of origin, these young dogs are out with adult dogs AND shepherds, who 'live' with their stock, at least part of the year or day. so they are always supervised. also, you must handle these dogs, so they are accustomed to people, not fear biters, that also allows you to vet them. if someone doesn't touch their LGD pups, RUN, they are a liability, not an asset. 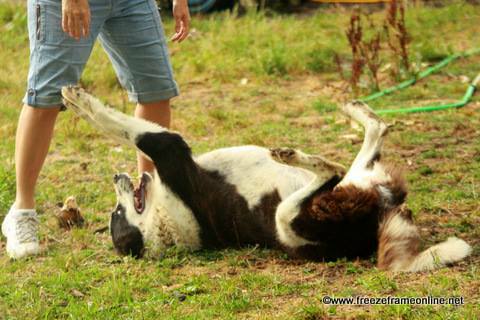 I am also on some Facebook groups, one good educational group being; https://www.facebook.com/groups/LearningAboutLGDs it is a nicely moderated group with a vast array of experience in working LGDs as well as different breeds. 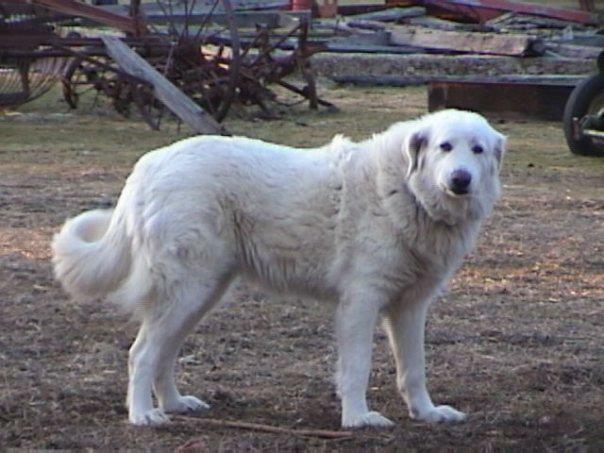 my personal experience, going back over 25 yrs; Komondor X Pyrenees, Pyr, Maremma, Tibetan Mastiff, Anatolian (ASD), ASD X Pyr, ASD X Maremma, Gampr, Central Asian Shepherd & fall of '14, we brought in Lola, a rare Portuguese LGD, Cão de Castro Laboreiro, suited for the warmer states. touching on experiences; when shopping for your LGD, look for breeders who health test. min is; hips, elbows & eyes. preferably from working breeders. in the Western breeds, you have a little more leeway, if they are breeding true to temp. in the Eastern/Asian (former Soviet bloc countries) be aware that economics, politics have played a part in recent yrs. many are breeding for fighting dogs, massive size & human aggression. 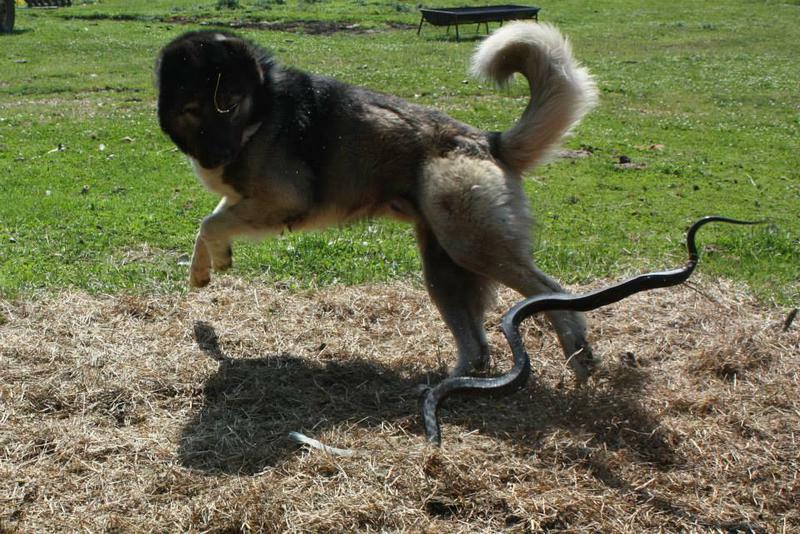 away from the shepherd's dog traits. 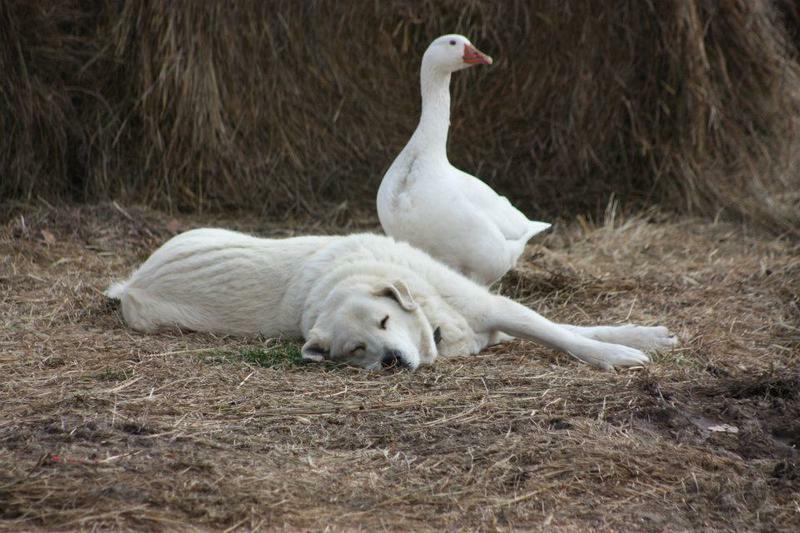 Dogs that kill stock, stalk, seek revenge, no respect, for their stock. lost temperament. many imported to the US, are from those dogs. most do not work them, they live in the city, or they have a few photo ops, not working dogs. 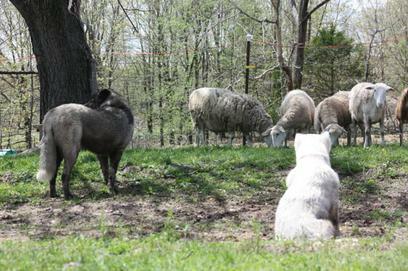 a working LGD is a dog that lives with stock 24/7 (when mature) and is safe with stock. 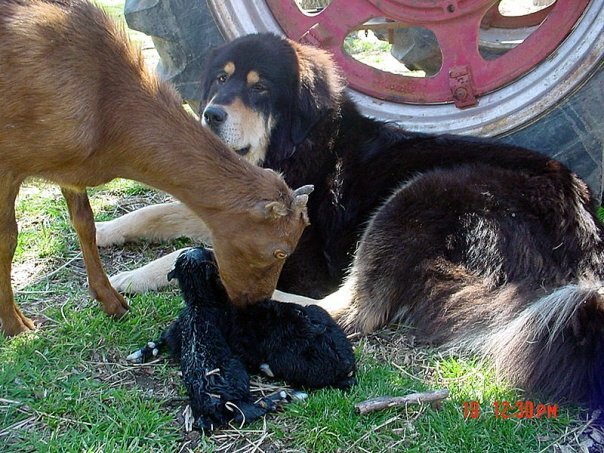 Iow, if you aren't buying them from working shepherds, either in North America, or their country of origin, you probably have a dog that has been mixed breed, non lgd traits selected from. not a shepherd's dog. truly, do your research before buying. don't fall for hype & risk your stock. here Faramir is too nosy, he moves in, the sheep run, he runs to keep up. this would be a problem, if we weren't supervising. so we stop him from chasing. Much better, Faramir has settled down, so the sheep are starting to relax. 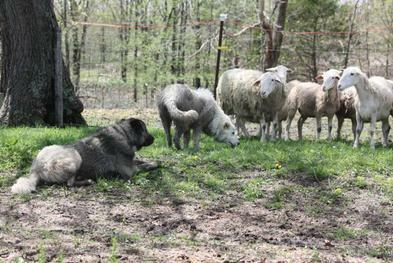 Arwen is much calmer around the sheep, different personality. Again, just 'hangin', which is what they do best, watching for predators. Galadriel's also done this before, it's pretty much her normal life she says. with no direct eye contact, the sheep can relax. Isildur & Legolas are old hats at this, they stay out of the way, letting us run the show for this day. nothing gets past them! Faramir, Galadriel & Arwen. nothing gets past this bunch, they're watching me. Galadriel & Faramir. he's still a little too interested, but, hanging back, so sheep aren't worried. Arwen keeping her head down in a submissive way. this is instinct at work. keep the sheep calm, move calmly. Willie, TM, with newborns. the doe's trust these dogs, with their babies and their lives. Legolas, ASD X Maremma, supervising new area for bottle calves. 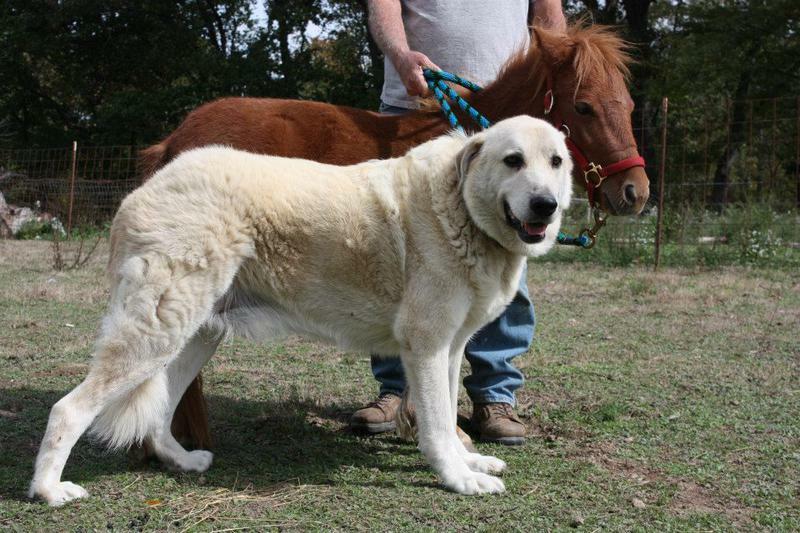 When your dogs are as big as your horses. 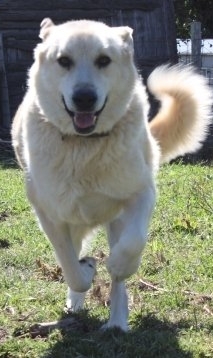 Isilur, Gampr w/Eowyn, 3/4 ASD x 1/4 Pyr. 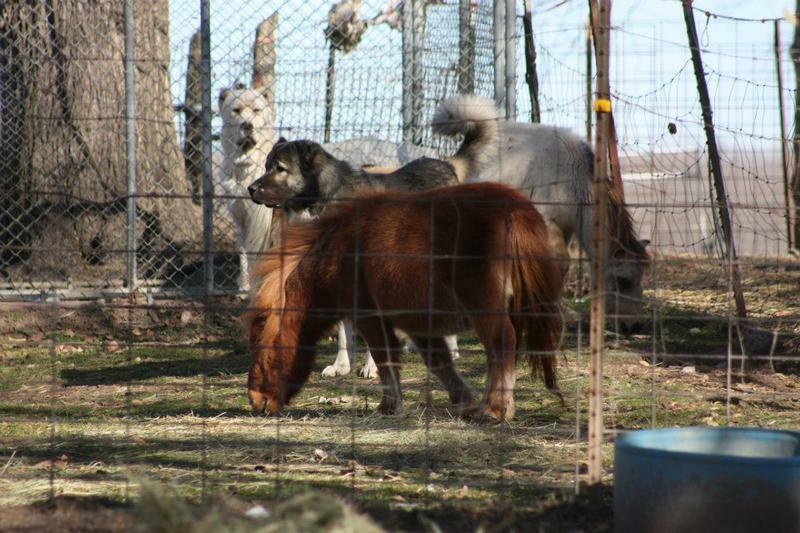 Isildur, Gampr, alerting, and making sure the mini horses are safe. 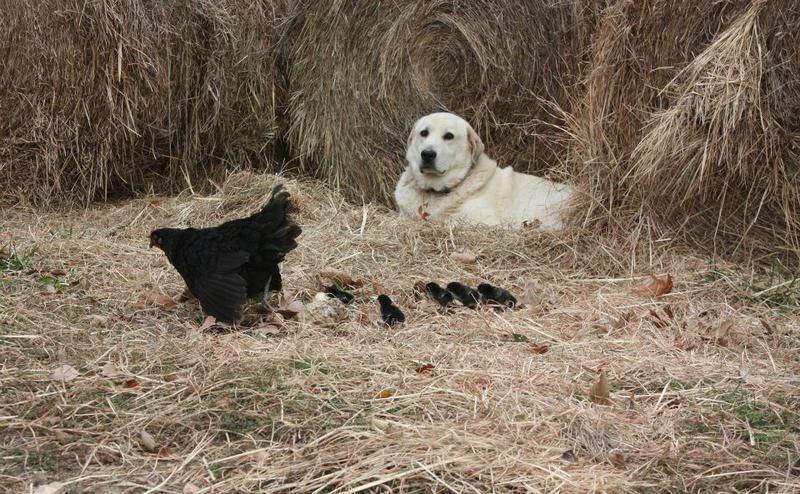 Even hens with chicks trust their dogs. 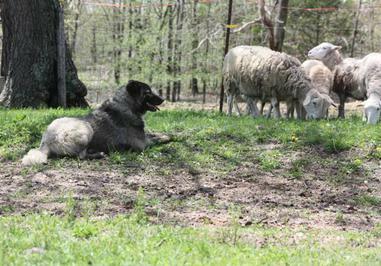 Lucy, CAS (Central Asian Shepherd), not working LGD, delegated to PP dog or back up to the other dogs. she can live with a mean ram we have. she's very social, so can travel & enjoys that. 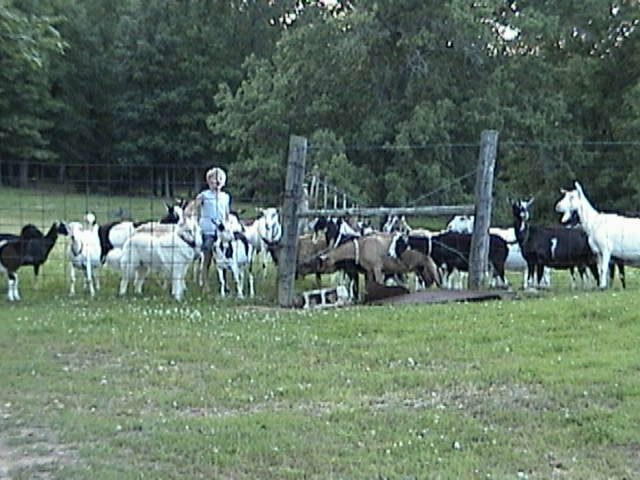 typical of most LGD, she will dispatch trespassers to the farm. 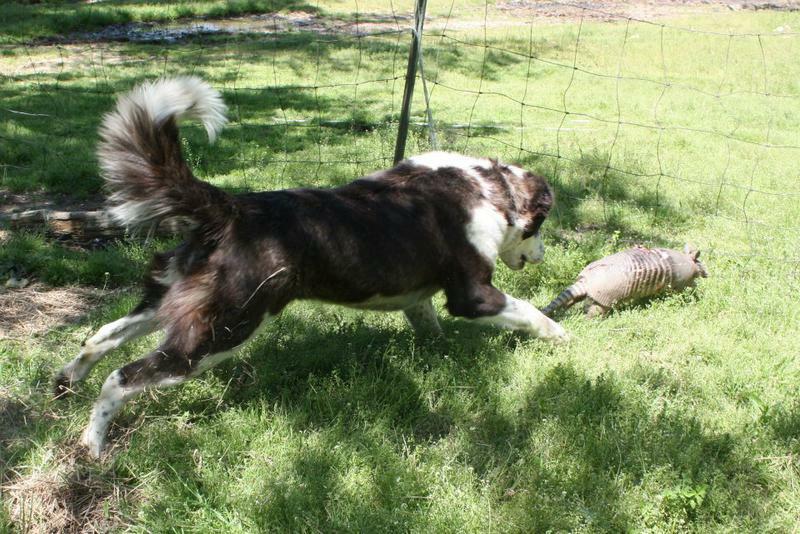 yes, she took care of this armadillo. Yes, even egg eating snakes are dispatched of. this one was spewing egg yolk, from all of the eggs it had stolen from our nest boxes. wandered too close.